I’ve been wanting to try this technique called Tongzhong for a while now. 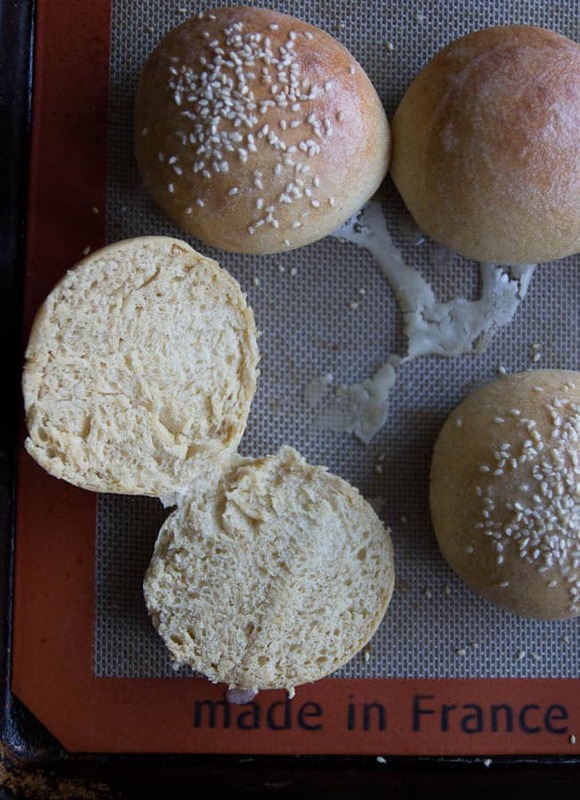 The technique is Asian and it is used to make bread softer and stay fresh longer. The first step is to make the Tongzhong, which is a roux that takes less than a minute to cook. You use a ratio of 5:1, water to flour, mix over medium heat, stir until the mixture reaches 65 degrees Celsius (149 degrees Fahrenheit), and then allow the mixture to cool to room temperature before using it. The mixture can be used immediately upon cooling to room temperature or it can be stored in the refrigerator for a few days (if it turns grey do not use it!). You can also convert any bread recipe to include Tongzhong if you know the total flour weight in the recipe. 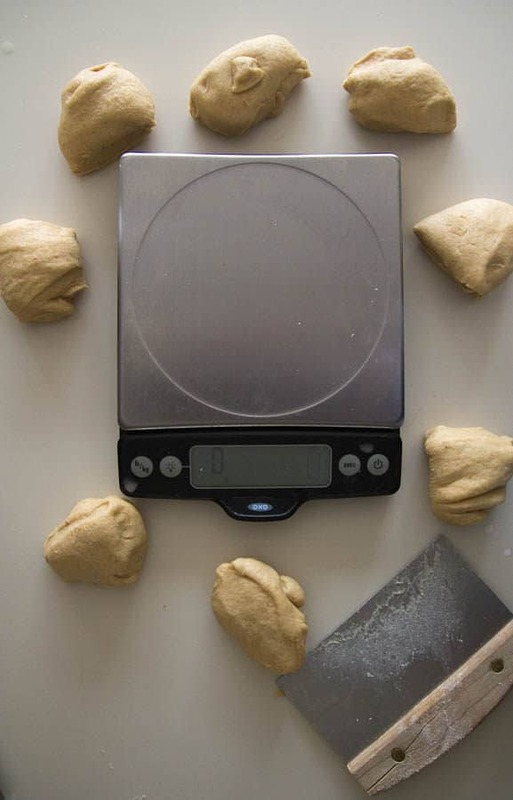 Simply calculate 5% of total flour weight and use that amount to make your Tongzhang. Easy! And so worth it since the bread will stay fresher longer. 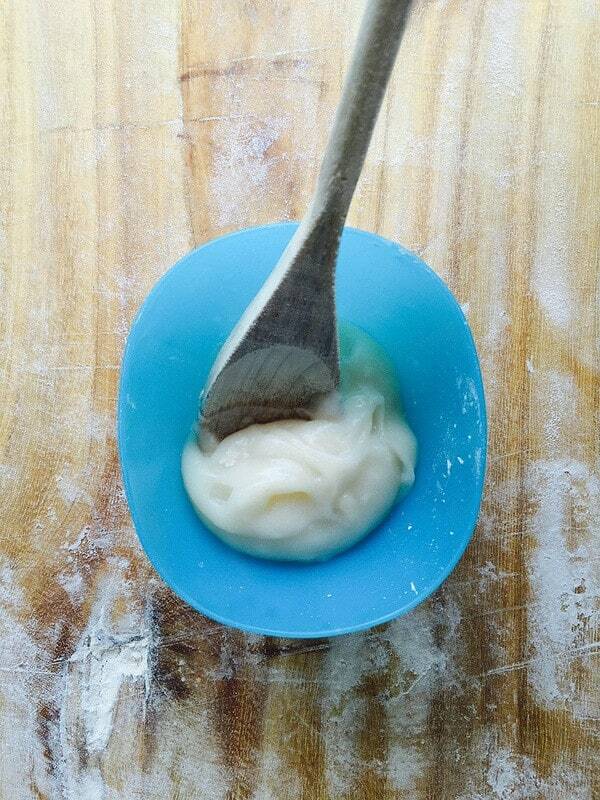 This particular recipe produced a very stiff dough and so I’d recommend adding a tablespoon or 2 of water if needed. Here is my dough before kneading, which I had to do by hand because the dough just spinning around the hook of my KitchenAid. 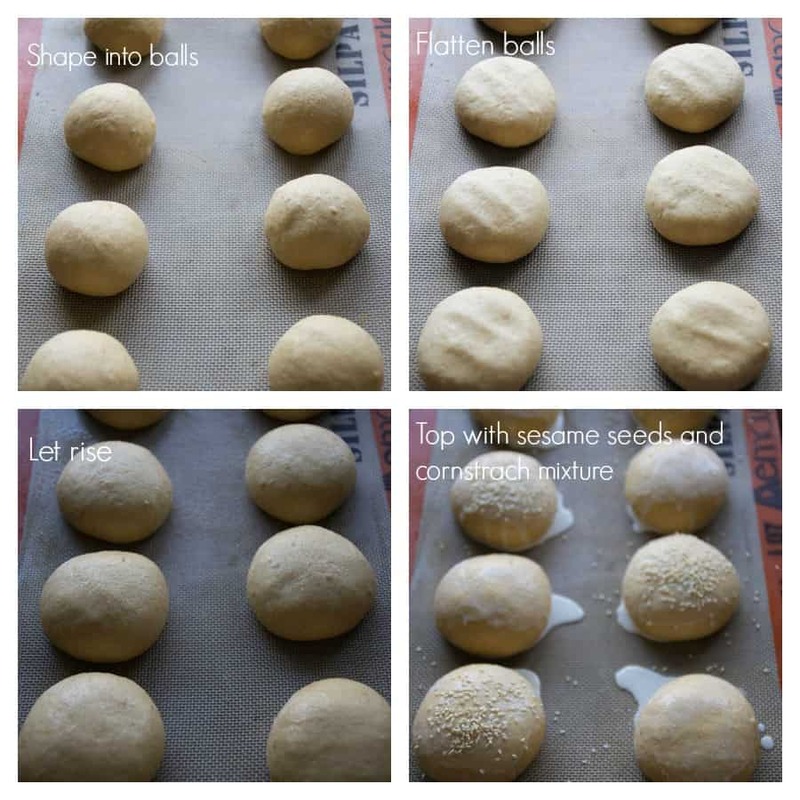 After the dough rose, I portioned it into 8 pieces (3 ounces each [85 grams]) and formed the dough into balls. 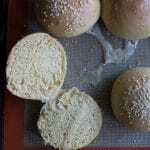 After shaping the dough into balls, gently flatten them just a bit and then let them rise. I didn’t allow mine to rise sufficiently because I was in a rush! 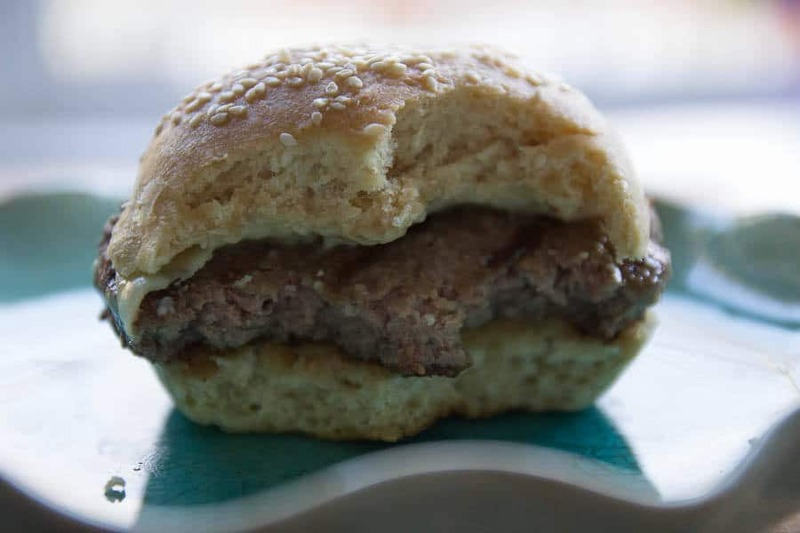 Kids were getting home from school and I wanted them to have fresh buns with their burgers. They loved them!! I also topped with cornstarch mixture and sesame seeds but will use egg wash next time, which is my usual. Ahhh…yum!! These were good! I will definitely be making these again very soon! Combine 2.5 tablespoons bread flour with water and heat over medium heat until a roux forms and the temperature reaches 149 degrees F (lines will form when you stir it). This will take less than a minute. Remove from heat and cool to room temperature. 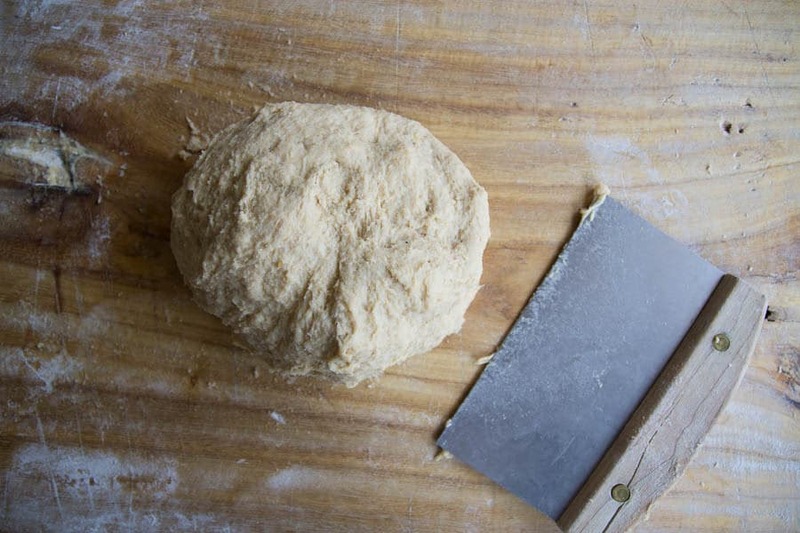 To make the bread, combine all ingredients including the Tongzhong but NOT the salt and butter in a bowl of a standing mixer and knead until the dough comes together. Add the salt and continue kneading for 7 minutes in stand mixer or 15 minutes by hand. 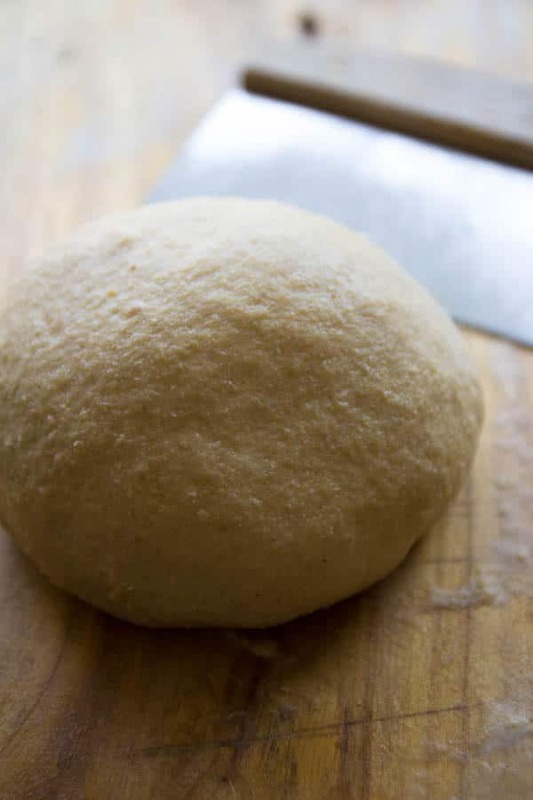 If the dough is too sift, add 1 to 2 tablespoons of water. Lastly, add the softened butter and knead for another 2 minutes. Preheat oven about 30 minutes before baking and place a baking pan on the bottom rack or oven floor. Just before placing bread in oven, add about 1/2 cup of water to baking pan to create steam. The first rise will take longer than the second rise. Times will vary depending on ambient temperature. It is better to underproof than overproof during the final proofing. Not allowing enough time for first proof will result in heavier bread. I’ve never heard of this method before. I’m really intrigued and those hamburger buns look amazing.